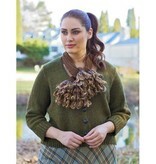 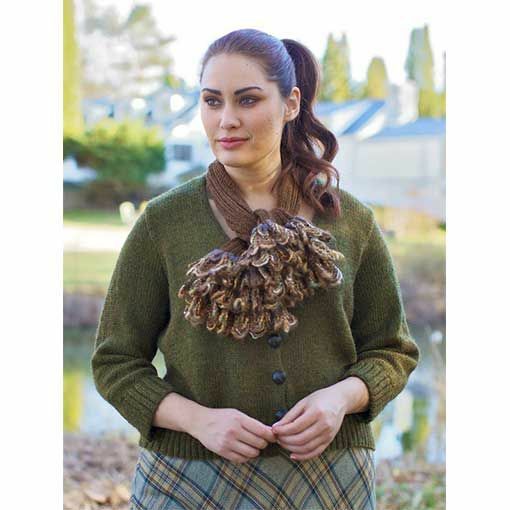 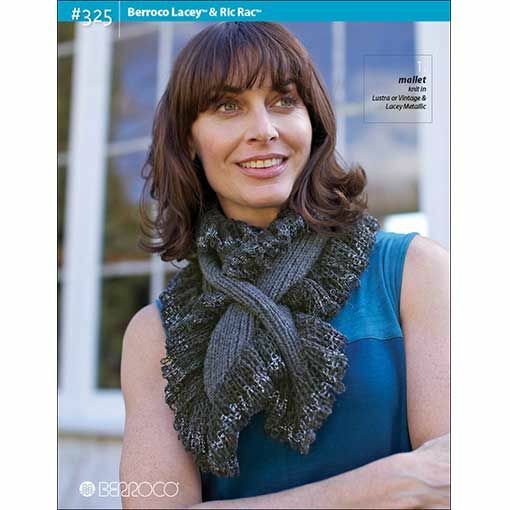 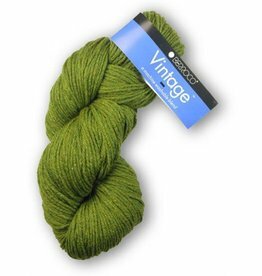 Berroco #325 Lacey & Ric Rac takes classic knitwear styles and mixes in a touch of novelty yarn fun. 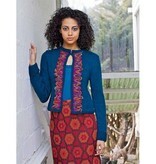 This is a collection of eight knitting patterns for women's garments and accessories. 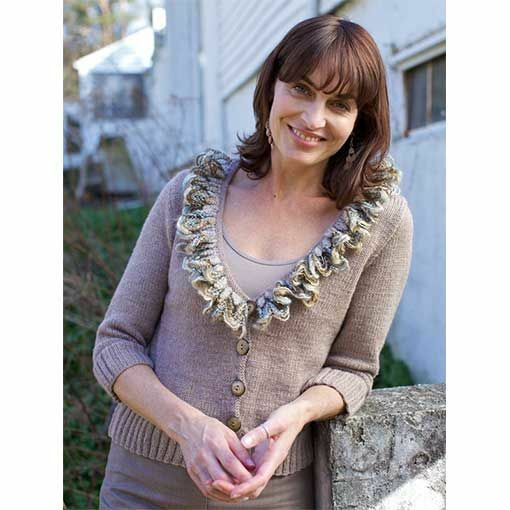 The patterns call for a variety of classic and novelty yarns from Berroco such as Vintage, Ultra Alpaca, Lacey and Ric Rac.